Let me preface this by saying that Sadie is still not sleeping through the night. She likes to wake up at 12am, 2am, 4am, and 5am. It’s exhausting so we talked to her pediatrician about starting her on some cereal. 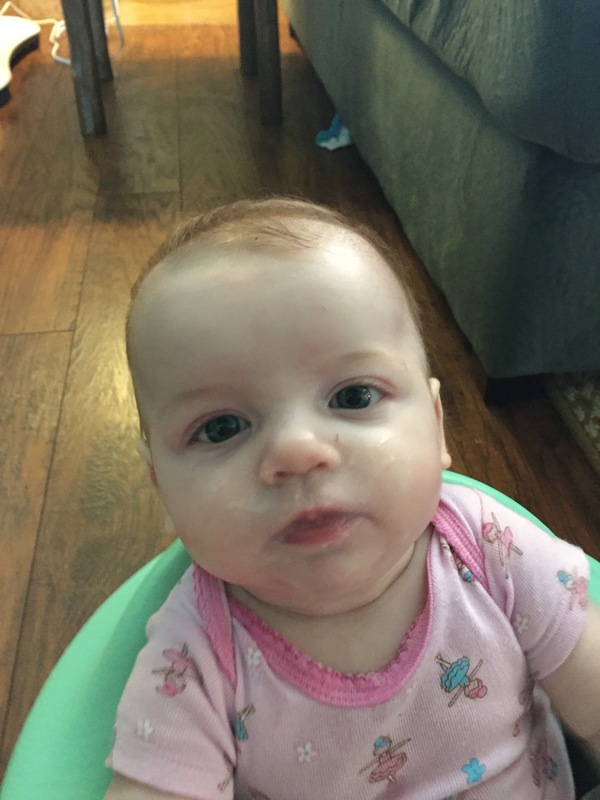 Being that she is now 4 months old, her pediatrician thought that would be a great idea. 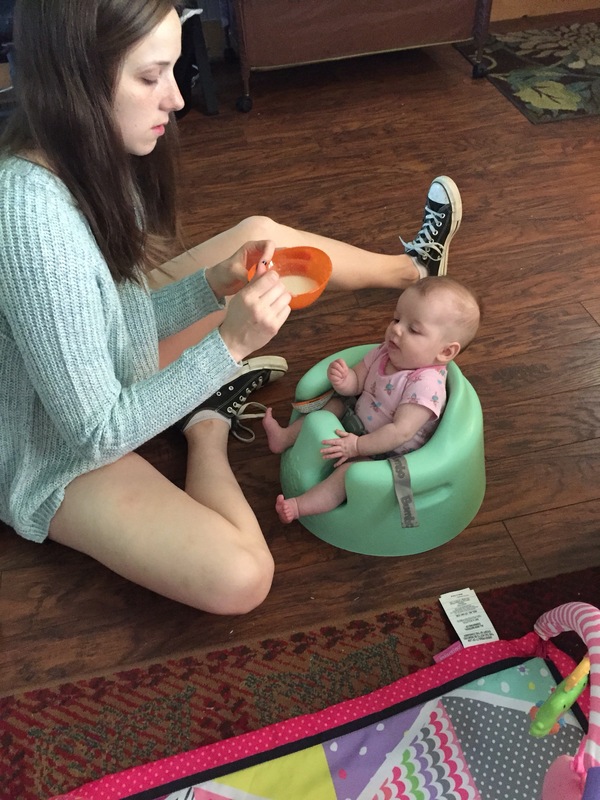 She told us we could start feeding her some cereal and then graduate her to some sweet potato and carrots whenever she gets the hang of the spoon. So in a desperate attempt to get some more sleep at night, we have started her on cereal! Sunday morning was the first attempt. It took her awhile to realize what she was supposed to do with a spoon, but once she figured it out she really liked it. She is also a super messy eater. Yes, it is her getting cereal all over her face and not me 😁. She is such a big girl! I love that she is gaining weight so well. We take her back to her back to her genetic doctor tomorrow and I know they will be impressed with her progress. God is good! I cannot say it enough. You can weather any storm with Him by your side. 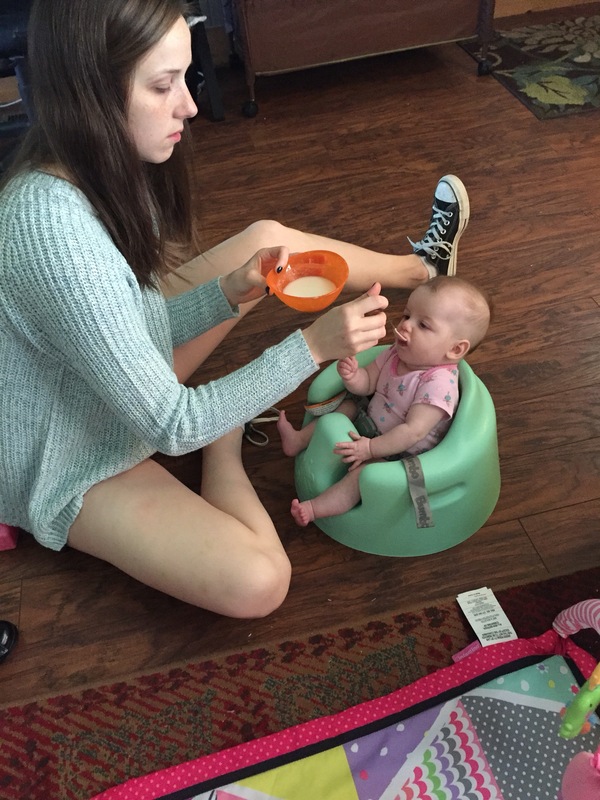 Four months ago Sadie was 4 pounds and in the hospital because she couldn’t eat, and now here she is 12 pounds and eating cereal with a spoon! Her progress is amazing and I am so proud of her.